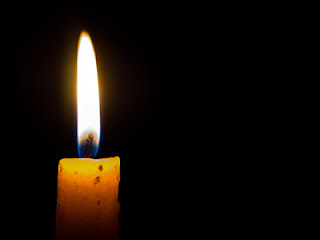 Recent hate crimes and shootings over the past week - including pipe bombs sent to politically liberal leaders, two African-Americans killed while grocery shopping in Kentucky, and the murder of eleven Jews at their place of worship in Pittsburgh - have left the country aghast. Gun violence and terrorism anywhere is repugnant; when people are specifically targeted because of their race, ethnicity, religion, sexual orientation, or political ideology, it is especially abhorrent. Statistics regarding the rise of hate crimes over the past few years foreshadow these recent events. According to the Anti-Defamation League, there was a 57% increase in hate crimes directed toward Jews and a 94% increase in anti-Semitic incidents in K-12 schools between 2016 and 2017. The Southern Poverty Law Center also saw an increase in anti-Muslim and anti-immigration incidents during that time, with an overall increase in the number of white Nationalist, Neo-Nazi, anti-Muslim and anti-immigration groups. And according to FBI statistics, black Americans are victims of hate crimes more than any other racial, ethnic or religious group. Some have argued that recent political rhetoric from politicians and some news media commentators, and anger among disenfranchised citizens stoke this rise in hate and bigotry. And while there is obviously a clear difference between verbal expressions of prejudice and committing murder, there should be no place for hate in any form within our country. There certainly should be no place for hate within our schools. A recent article highlighted how schools are struggling to address the increase in hate crimes without appearing to take political sides. Children and teens struggle every day to fit in, gain popularity, and avoid bullying. Some express racial, ethnic and homophobic slurs in an attempt to gain acceptance with their peers. Many have little or no exposure to some ethnic or religious groups, and develop misconceptions about them through film, the media, and online slander. Teachers face a monumental task as they wade through this morass of peer and media influence. It is also a challenge to help children understand and cope with the aftermath of hate crimes or displays of bigotry, such as the rally in Charlottesville last year. So, how does this relate to gifted education? 1. Gifted children are highly sensitive. Gifted children and teens often are overthinkers, and respond to distressing situations with increased empathy and sensitivity. Some struggle with existential depression as they ponder the meaning of existence. They may become emotionally distraught as they experience profound sadness and empathy for the victims of violence and the suffering their families endure. Gifted children may need added support as they weather these difficult situations. Young children, in particular, need reassurance that you will keep them safe. If symptoms of anxiety or depression persist, counseling with a licensed mental health professional may be indicated. 2. Gifted children possess a strong sense of fairness and justice. Gifted children question what is just, and become outraged when they believe others are not treated fairly. Younger gifted children may have difficulty grasping the reasons that bigotry and hate crimes even exist; adolescents may be enraged and activated to fight for change. 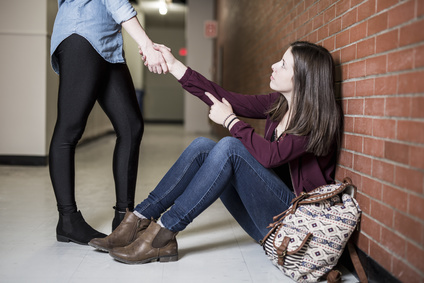 Gifted teens and older gifted children may benefit from channeling their frustration into charitable causes that help victims of violence, or by donating their time to organizations focused on change. 3. Gifted children represent our future. Gifted children are our future thinkers and theorists and policy-makers. The foundations and values we help to instill will serve as a framework for them as adults. There is a pressing need for bright, motivated young adults to channel their energies into social science, social services, public policy, urban policy, and economics. Even those in STEM careers can tailor their skills toward the good of society. Gifted young adults can harness their creative, strategic, out-of-the-box thinking to hopefully envision some solutions to the problems we face. Let's help our gifted children - all children - weather these recent national crises. Let's help them feel safe, and allow them to learn from history, understand the meaning of these current events, and encourage them to direct their skills toward finding a solution - now and in the future. Any child who struggles in school is a challenge and a heartbreak for parents. But when gifted children veer off course, it can be especially troubling. We know what they are capable of, yet watch helplessly as they squander their talents and potential. Underachievement springs from a variety of sources. You can't solve the problem without understanding its cause. Assuming there is no clearcut explanation, such as a learning disability or serious psychological problem, reasons for underachievement can be varied. And while personal traits, family dynamics, peer pressure, and social/cultural/gender factors* can affect performance, the first influence to consider is the school. In other words, what role does the school play in either unwittingly encouraging - or hopefully correcting - the problem of underachievement among gifted students? Gifted underachievement can be overt or masked. Is your child what Delisle and Galbraith (2002) labeled a "selective consumer," showing interest in only a select few subjects? Is she struggling with boredom and disinterest in school, losing respect for teachers and the school itself? Is he failing completely and at risk for dropping out? Is she underachieving only when certain demands arise, such as exams or essays that evoke anxiety, avoidance and procrastination? Is your child a gifted underachiever-under-the-radar - overlooked by teachers because above average grades mask the reality that he is merely coasting through school? Recognizing how your child's underachievement is manifest within the school is a first step toward identifying where to address the problem. Clearly, a child who is capable of passionately engaging in subjects she loves, but eschews topics she dislikes, is quite different from one at risk of dropping out from school altogether. Understanding how gifted underachievement is expressed will help you and the school tailor an intervention to help your child develop greater investment in learning. The school milieu imposes certain demands that influence each child's reaction to learning. When the school environment is challenging, respectful, and engaging, when learning is exciting, and when a student feels appreciated and accepted, he will most likely feel some "connection" with the school and invest energy into the learning process. When these factors are absent, disengagement may occur. Many gifted children quickly realize that they can coast through school. They become accustomed to waiting while their peers catch up, and feel angry and bored. They lose respect for their teachers and the school, and conclude that the school has little concern for their specific needs. When they receive easy A's and awards, they may assume that their efforts are "good enough," and lack initiative to reach their potential. Their academic choices also may be influenced more by their peers' opinions than by the school's recommendations. Siegle and McCoach (2005) have highlighted factors necessary for engagement with school. They found differences between gifted "achievers" and underachievers. Among other things, gifted achievers believed in their ability to perform, trusted the school environment, viewed school as a place where they could succeed, believed that school was meaningful, and held positive attitudes toward teachers and the school. Gifted underachievers felt less trusting toward school and found less meaning and value in their efforts. Gifted students need to view the school's goals favorably, must perceive the school environment as supportive, and find meaning in academic tasks. Unless these factors are present, they are unlikely to feel motivated to achieve. Helping students find meaning and a positive connection to the school seems essential, especially for gifted underachievers. This, of course, requires a collaborative effort with the school, and must address how your child can find more of a connection to the school and a reason to value it. While most teachers and schools want the best for their students, sometimes school policy, misconceptions about giftedness, a lack of funding, and philosophical views about best classroom practices (such as solely relying on differentiated instruction) can derail learning for gifted children. It is devastating for parents to watch their child's love of learning wither under these conditions. Gifted children often respond to these roadblocks with apathy and suspicion toward authority. They note how the school welcomes their accomplishments - proudly broadcasting names of the latest science fair winner or National Merit Finalist - but refuses to address their academic needs. Students watch as their parents advocate for even the most cost-effective solutions, such as subject acceleration, as if this basic, simple request were an egregious demand. It is difficult to rebound from so much distrust and apathy. Parents need to validate their child's school experience, but also put it in perspective. Even while you continue with your own advocacy efforts, it is still important to help your child develop a positive attitude toward her education. Remind her that everyone makes mistakes; even teachers and administrators. And not everyone is going to agree with what she wants. Encourage her to find some areas of interest, connect with a caring teacher, learn how to respectfully self-advocate, find some school activities that are meaningful and enjoyable, and come up with a strategy for how she will make the most of her education - even though it is not ideal. Most gifted students who have coasted through school eventually face an unexpected academic challenge. The awareness that innate abilities are not sufficient can be a harsh jolt of reality. While some gifted children rise to the challenge, others become anxious and insecure, doubt their abilities completely, and might feel like "impostors." They may compare themselves to other exceptional students, and assume the worst about themselves. Confronting a roadblock or failure experience can be a devastating blow to a student with a distorted view of her abilities and little understanding of the effort necessary to achieve. Some give up trying altogether, and with it, sacrifice their sense of wonder, curiosity and desire to learn. It would seem that anxiety, low self-esteem, apathy and underachievement revolve in a vicious spiral. Many gifted underachievers also may never develop the "character-building" skills imparted to students who regularly receive a challenging education. Inman (2016) described what gifted children don't learn when they have not been challenged. They are deprived of opportunities for developing a strong work ethic, a sense of responsibility, the capacity for sacrifice, and the self-worth derived from accomplishments. They never receive the "education" that comes from hard work, perseverance, "paying your dues," and overcoming obstacles. The absence of these necessary skills and experiences can fuel underachievement. Try to gather information about how underachievement is affecting your child. Is he upset about his performance, or does he claim that it is a reasonable response to boredom in the classroom? Does she worry about how she appears to others, both in terms of grades, as well as social status? Is underachieving a means of masking his abilities and gaining popularity? Is she depressed, anxious, angry, bored, or struggling with existential concerns? Does he feel insecure about his academic struggles and doubt his abilities? Gifted children and teens underachieve for a variety of reasons and exhibit a range of emotional reactions. The psychological toll that results from underachievement can be masked by rebellion, obscured by a fierce bravado, or manifest as chronic depression, anxiety and low self-esteem. Your child's reactions and behavior need to inform and influence your response. Clearly, an anxious and depressed child requires a more supportive, "therapeutic" intervention than a child who claims he is underperforming in a particular class because he is bored and disinterested in the topic. Unless it is addressed, underachievement can persist into adulthood, informing college or career decisions, affecting motivation and study/work ethic, and limiting creativity and productivity. Gifted children need to appreciate and accept their giftedness and the importance of hard work and practice. A collaborative effort with the school is critical so that your child can assume challenging work, and navigate the challenges of imperfection and failure. Working with mentors, supportive teachers and coaches, and finding meaningful extra-curricular activities can be helpful. Counseling with a licensed mental health professional also may be needed. Gifted children sometimes lack adequate self-regulation skills, which involve the ability to set goals, use organizational strategies and evaluate one's progress. Zimmerman (2010) has described self-regulated learners as those who participate actively in learning. They see themselves as capable and seek out meaning in their education. They use strategies such as self-monitoring, self-evaluation, strategic planning, time management, goal-setting, and techniques to combat procrastination, distactibility and task avoidance. When gifted children coast through school and exert little effort, they rarely develop these necessary skills, and struggle when eventually faced with more challenging academic demands. In addition, many gifted children fail to develop executive functioning skills as readily as others, since their minds are more focused on their interests, passions, and creative pursuits. They need specific guidance with self-regulation and study skills. Learning to take notes, review them, study effectively, self-monitor and evaluate their progress, and set goals are essential. Self-regulation also requires self-discipline and awareness of when and why they are avoiding a task. However, teaching these skills without providing truly difficult and challenging work will seem pointless to gifted students, who may doubt that these lessons apply to them. Gifted underachievers often lose lost interest in awards and other extrinsic motivators. They require convincing evidence that engaging in activities they find boring or routine is worth their effort. In his overview of verbally gifted children, Redding (1989) has suggested helping students understand the benefits and rationale for sticking with boring, detail-oriented tasks, and appreciating the association between their efforts and outcomes. In other words, there is value in learning multiplication tables - even if it seems tedious. In a case study review, Kanevsky and Keighley (2003) identified five characteristics that can alleviate some of the disengagement and boredom common among gifted underachievers. According to these researchers, students must experience control, choice, challenge, complexity and caring teachers. It would seem that these five characteristics are necessary motivational ingredients for all children; however, they may be especially critical for gifted students, who have grown wary of the limitations and watered-down instruction in many of their classes. Ensure that their academic goals are personally motivating and are goals that they value. Recent research (Gottlieb, Hyde, Immordino-Yang, & Kaufman, 2016) has suggested that engagement could be encouraged through enlisting gifted students' social-emotional imagination, creativity, sense of purpose and empathy for others. They need to see a connection between what they are learning and a larger purpose. Many gifted children and teens have a passion for social justice and struggle with existential issues. It seems clear that they must find a reason for learning beyond the acquisition of grades of awards. As a parent, you have a unique perspective, since you know your child best. Yet, you need to enlist the aid of the school in assessing your child's performance and developing a strategy for addressing the underachievement. Understanding why your child is not reaching his potential, losing interest in school, and exhibiting a discrepancy between ability and performance is essential. Start by asking your child to describe the problem. Get input from all of his teachers. Consider additional testing. 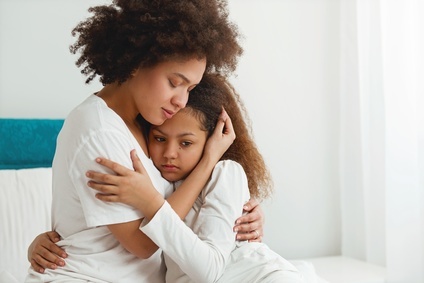 And pursue counseling with a licensed mental health professional to help you and your child address coping strategies and manage the emotional toll resulting from the underachievement. Nurturing a gifted child's abilities might seem like traversing a maze filled with roadblocks ready to steer you off course. These highly sensitive, reactive children flourish under the right conditions, but their sharp intellect and tendency to question everything will quickly lead them to give up on an education that is a disappointment. As parents, we need to help them navigate this educational maze, keep their intrinsic love of learning alive, and prevent underachievement that robs them of their potential. What have you found that helps your child with underachievement? * More to come - future blog posts will address some of the other influences that contribute to gifted underachievement. Delisle, J. & Galbraith, J. (2002). When gifted kids don't have all the answers. Minneapolis, MN: Free Spirit Publishing. Gottleib, R., Hyde, E., Immordino-Yang, M. H., & Kaufman, S. B. (2016). Cultivating the social-emotional imagination in gifted education: Insights from educational neuroscience. Annals of the New York Academy of Sciences, 1-10. Inman, T. F. (2016). What a child doesn't learn. Parenting for high potential, 6, 15-17. Kanevsky, L. & Keighley, T (2003). To produce or not to produce? Understanding boredom and honor in underachievement. Roeper Review, 26, 20-28. McCoach, D. B. & Siegle, D. (2003). Factors that differentiate underachieving gifted students from high-achieving gifted students. Gifted Child Quarterly, 47, 144-154. Redding, R. (1989). Underachievement in the verbally gifted: Implications for pedagogy. Psychology in the Schools, 3, 275-291. Siegle, D. & McCoach, D. B. (2005). Motivating gifted students. Waco, TX: Prufrock Press. Zimmerman, B. J. (2010). Becoming a self-regulated learner: An overview. Theory into Practice, 41, 64-70. This blog is part of Hoagie's Gifted Education Blog Hop on Underachievers. To read more blogs, click on http://www.hoagiesgifted.org/blog_hop_under_achievers.htm.